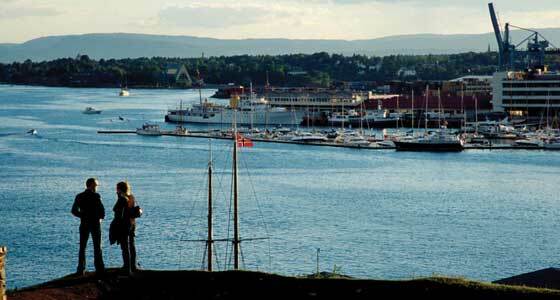 Norway for the duration of the walking and cycling season, is the Land of the Midnight Sun with very long summer days. You will probably not even notice the night as such, just a certain twilight dimness which may have you retiring for the evening later than expected! What people really come to the Land of Trolls to see is a series of ruggedly beautiful panoramas full of glaciated mountains, fjords and small attractive settlements. In Norway you can undertake some great wilderness hiking and travel on some of the world's most scenic ferry and train rides. You will also find unspoiled fishing villages with their Gothic styled medieval stave churches. There are rolling farmlands, enchanted forests and the dramatic Western Fjords, of which Sognefjord - visited on our tour - is the longest and deepest. With only 4.5 million people in a country that is 385,155 sq km - nowhere will ever feel particularly crowded and the country, still a Constitutional monarchy, fiercely guards its traditions. The walking holiday season in Norway is limited from July to September in order to make the most of warmer weather and long daylight hours. In July-August temperatures can get up to around 30c, however the average ranges in mid-twenties. Given the latitude even at this time of year (especially July) you can expect snow at altitude and you should always carry some warm clothing. Our self-guided walking holiday in Norway focusses on an area known as the Fjordland. It is an area of high plateau, mountains, moorland, lakes, dissected by rivers. The region lies to the North of the famous Hardangervidda wilderness, More specifically you will be based in the highland villages squeezed between the Hardanger Jokulen (ice-cap) and the Halingskarvet Mountains, (Finse and Geilo) and the lowland villages of Flam and Aurland tucked on two prongs of the Aurlandsfjord. This is an offshoot of the Sognefjord, the longest, deepest Fjord in the world!